We strive to provide the most up-to-date and caring veterinary services to horses of all categories whether the fancy performance or the family pet horse. To Register as a client and your horse(s) as a patient please fill out our Registration Form Online. Next we just need to set-up an appointment! 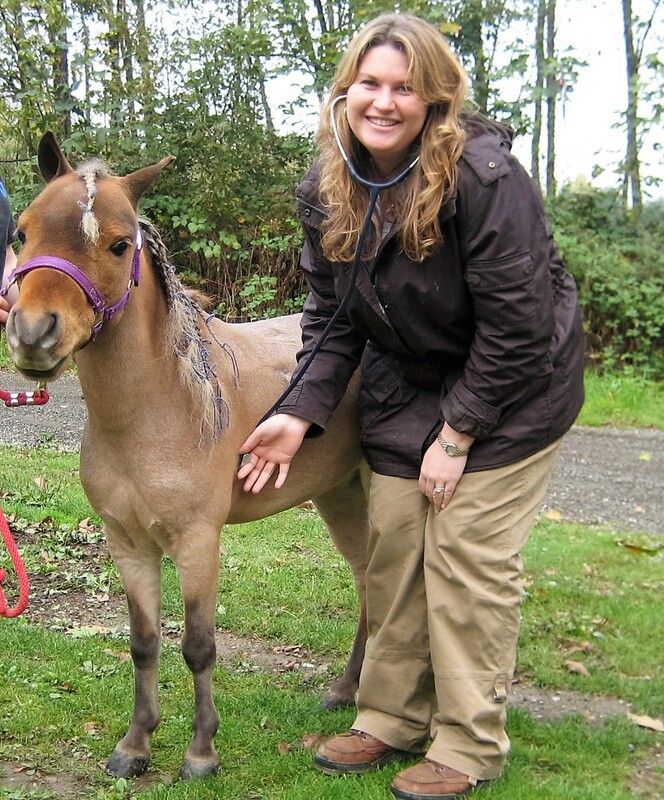 Red Rock Equine Veterinary Inc PS was founded in 2016 by Dr. Chantal Rothschild, ACVIM and its headquarters are in Fall City, WA. Welcome to Red Rock Equine Veterinary, INC. PS. Red Rock Equine Veterinary is a full-service Equine Veterinary practice dedicated to horses of all classes and categories. From the Grand Prix Athlete to the family pasture pet! We offer routine veterinary services but specialize in ambulatory Internal Medicine care. We carry state-of-the-art portable diagnostic and treatment equipment including digital x-rays, various ultrasounds, oral dental scope, specialized ophthalmology tools, advanced dentistry tools, among many others. With these and with Dr. Chantal Rothschild's (founder of Red Rock Equine Veterinary and Board Certified in Equine Veterinary Internal Medicine) training, years of experience and expertise in Equine Medicine our practice offers excellency to diagnose and treat even the more complex cases combined with compassion and dedication to your horse, right at home! We work together in collaboration with other surrounding veterinarians and clinics so that a larger array of services and emergency availability is provided. Our clients and patients are always taken care of no matter whats the problem, the services they need or the time of the day or night. Clients and veterinarians are welcome to contact us and discuss their cases so that we can work as a team combining our services and management efforts to help the patient. Please read more About Us, Our Services and Dr. Rothschild! We would love to help you and your horse (s), contact us at any time! At Red Rock Equine Veterinary, we treat your horse like family. "Dr. Rothschild treated my 34-year-old horse for a liver bile duct infection, beginning early June. It was a difficult infection, requiring very strong antibiotics which helped cause lack of appetite. He also experienced weakness, anemia, and extreme fatigue. Dr. Rothschild never seemed to give up hope for his recovery, though, nor did she suggest that I should. She was wonderful about responding to my texts to her (there were a lot!) when I had questions or concerns about how he was doing..."
"“As the manager of Rosebud River Ranch in Snoqualmie for the last 15 years, I have seen dozens of equine vets treat our horses for both maintenance care and in emergency situations...in other words...hundreds and hundreds of encounters and chances to observe, learn and make judgments. Dr. Chantal Rothschild - who is currently the medical director of our ranch with its 45+ horses -- is without question the best equine vet I have ever had the privilege both to know and with whom to work. She is the best friend any horse or horse owner could have. A consummate and incredibly knowledgeable professional, I have the utmost admiration and respect for the way she works with horses and with their owners. She is thorough and patient with both the horse sand with the owners...who often have questions that need answering and who understandably need reassuring that things are going to be okay." ""Dr. Rothschild is hands down the best equine vet around! After years and multiple vets struggling to breed one of my older mares Chantal was able to deliver a healthy beautiful filly on the summer solstice. She has also saved my 32 year old mare who was suffering from seizures. Besides being compassionate and understanding she always does what is best for the animals and her vast knowledge of internal medicine allows her go above and beyond what I have seen from any equine veterinarian over the years. She has also helped me with my other four-legged family members when it has been time to say goodbye and cross the rainbow bridge or given me referrals to small animal specialists that i desperately needed at the time. She is simply the best and the first one I call when I have a horse that needs any medical care."" ""There is no better equine veterinarian than Dr. Rothschild. Not just in her vast knowledge of every aspect of equine care, but in her calm bedside manner, and in her willingness to educate me so I feel confident with the decisions I make regarding my horse's health. And, she deeply cares about the wellness of the horse owner, too. After a frightening, nearly life threatening situation with my horse that lasted many hours, she drove all the way back to our barn to check on my horse, and to bring me dinner. Simply stated, she's the very best!"" ""First I would like to thank Dr. Rothschild, Because of her extensive knowledge and experience in Equine Medicine, her unmatched devotion and dedication to not only horse, but owner as well, a situation that was deemed irreparable became a Miracle I owe the life of my colt and the courage to be strong to Dr. Rothschild. I highly recommend her services for any Equine situation that you may have. An added bonus is her loving and genuine concern, her positive energy, and her inclusive approach in any situation, allowing you to be comfortable and confident in making decisions together. Once my "stud colt" was strong and healthy, and ready for gelding Dr. Rothschild uses only top of the line cutting-edge technology and instruments for this procedure, as with all her Surgical specialties, the result was my 15mo. Colt was up and going, no complications, little to no bleeding, and during the healing process I needed do nothing more than watch his activity levels the first week." ""Because of Dr. Chantal Rothschild’s expertise diagnosis and sound treatment with my horse, we have been able continue to ride vs. my beloved horse being retired or worse. A couple of years ago, my horse was diagnosed by my current vet as having severe neurological issues that would cause us to never ride again. Luckily, I had Dr. Rothschild also examine her and because of her different diagnosis along with recommended treatment my horse and I could ride once again! Most recently, because of Dr. Rothschild’s quick diagnosis and her recommended treatment, my horse is healing rather quickly from laminitis, Cushings, and insulin resistance. Once again, we should be able to ride soon! Dr. Rothschild not only takes the time to explain the most current scientific aspects of medical issues in a way I can understand, but she has a calming manner which helps me and my horse.""